Oops, she did it again. Kathleen Wynne is once again rated the worst premier in Canada. Okay, in fairness that isn’t what the poll asks but it is the result. 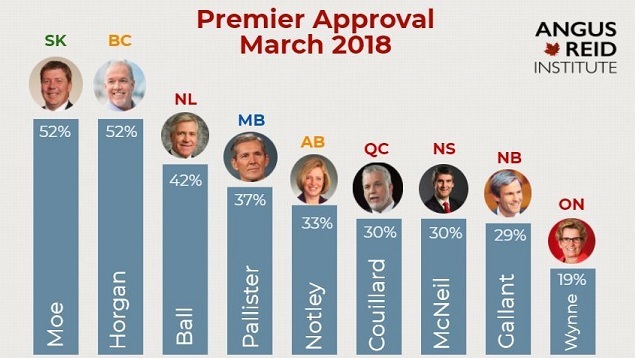 The Angus Reid Institute asks people across Canada to rank their premiers in terms of job approval and yet again Wynne comes in last at 19% approval rating. Compare that to Saskatchewan’s Scott Moe or British Columbia’s John Horgan at 52% approval a piece. It’s kind of embarrassing for Wynne. Wynne is a full 10 points below the next lowest rated premier, Brian Gallant of New Brunswick has a 29% approval rating. Consider this, just weeks before the election, Kathleen Wynne is wishing she could have Donald Trump’s approval rating. When Wynne was first elected she did well. Shortly after the last election she was at 41% voter approval rating. For anyone that wants to dismiss this as one poll, I give you Campaign Research and their numbers. On the weekend, Campaign Research released a poll showing whether certain blocks of voters would be willing to vote for each party. The numbers were not good for the Liberals. 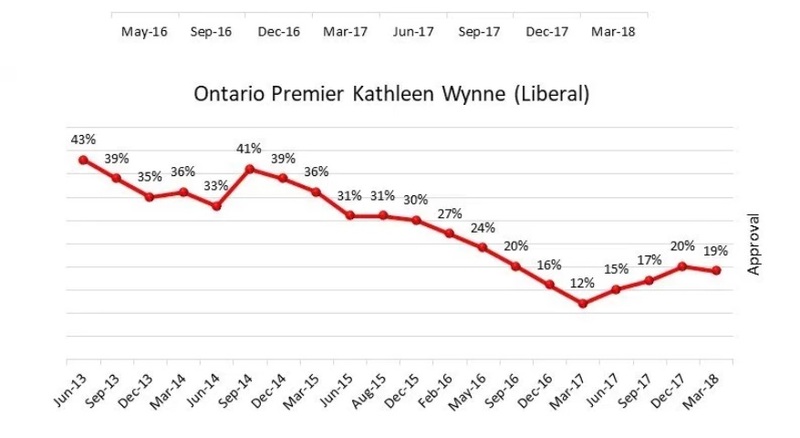 But today’s numbers are just horrible for Wynne. Not only do they show that her priorities do not align with voters priorities but also that voters don’t like the job she is doing. The election is 78 days away and campaigns matter, they matter greatly. But these numbers will be hard to turn around. 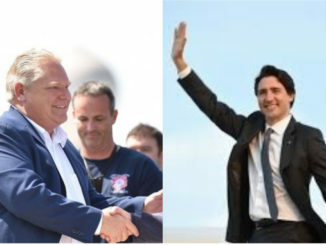 At this point the election is Doug Ford’s to lose and if that happens, I’d put more money on Premier Andrea Horwath being the result than a return of Kathleen Wynne. 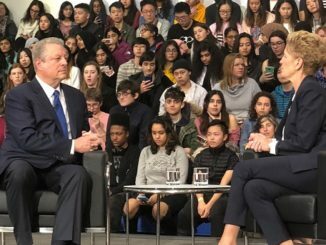 Now Al Gore campaigns for Kathleen Wynne? 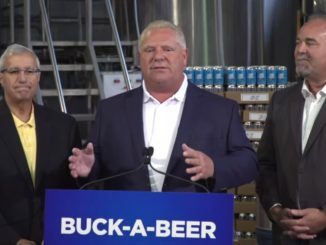 Horwath and the NDP would give us more of the insane divisive gender politics and poor management that we’ve experienced for years, maybe worse, hard to imagine worse. We need a hard turn right. There is only one option!